When I booked our hostel, I booked four nights (Wednesday - Sunday). I think it was Thursday night, back when I felt so terrible, that I thought about canceling my last night and going back home on Saturday night instead. On Friday I played around with the idea some more, then went ahead and canceled it that day so I could get most of my money back. So on Saturday morning I packed up my backpack and carried it around with me during the day so I could go straight home after class (the bus that I take home is just one metro stop from Korean class). First we headed to the Seoul Folk Flea Market. There was tons of stuff inside; sometimes the piles were overwhelming. 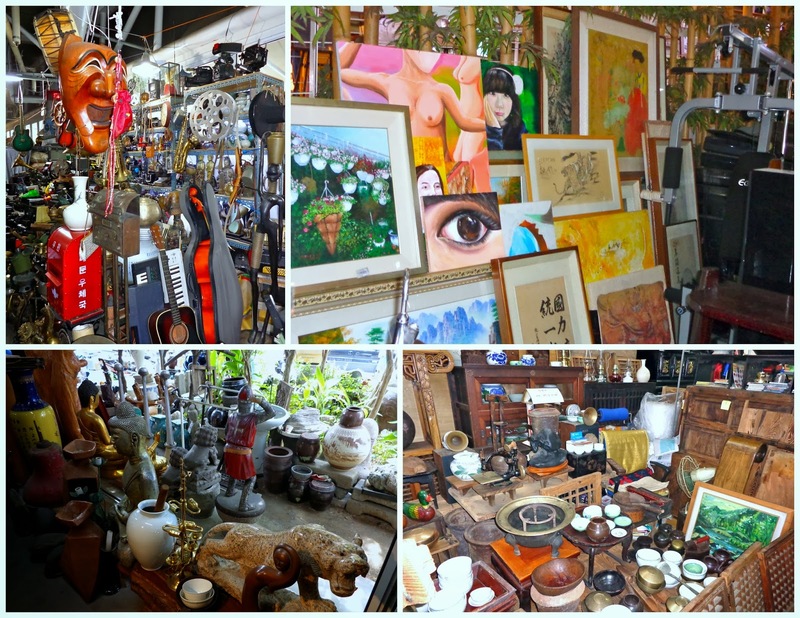 There were electronics, clothes, books, musical instruments (guitars -- yes), vitamins, probiotics, records, art, knick knacks -- almost everything you could think of. My only purchase at the market was a pack of AA batteries, since the price was cheap. I have never changed the batteries in my atomic alarm clock, which I purchased back in high school. That's 7-8 years on the same two batteries! So I wanted to be prepared for when they die. Perhaps I bought really bad batteries that won't last long, and that's why they were so cheap. I'll find out in good time, I guess. 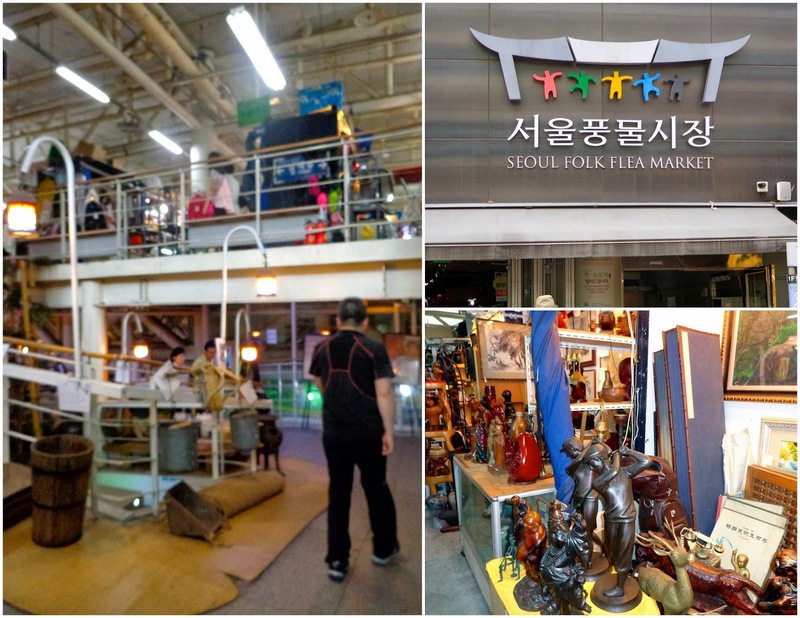 There were lots of places to eat inside the flea market structure, but we went to Dongdaemun Market for a bit before Korean class and ate there. At the Dongdaemun Market I bought a badminton racquet! I don't think it's the greatest, but it was the lightest racquet at the stand. I didn't know what the guy was telling me -- apart from price -- but I wanted to have my own so I bought it.